Haller worked while completing a four-year apprenticeship in carpentry, received a certificate and is qualified for union and non-union work. He is just one of several construction professionals at Walbridge, a Michigan Construction partner, who decided to take the apprenticeship fork in the career road rather than going to college. Today they are all successful, employed and proud to be working in Michigan's construction industry. Take a minute to read their stories at Trained By The Trades and gain insights about construction trades and the people who have made them their life’s work. 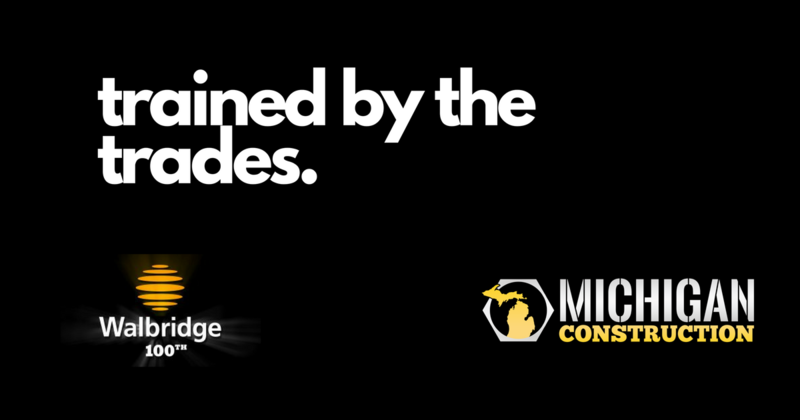 If you are not already a Michigan Construction partner and your organization is ready to join the movement, click below and get to work with us building a better Michigan.